The Xreme Signal HDB4X UHF TV antenna is the best choice for picking up distant signals that other antennas just can’t get! There’s a lot of free HDTV out there. Make sure you get the most high-definition channels by getting the strongest TV antenna you can buy, the Xtreme Signal series. If you are more than 45 miles from your closest broadcast towers, you will appreciate the sheer power of the Xtreme Signal HDB4X. This super deep fringe HDTV antenna is designed to focus on those distant signals like no other. It’s the hobbyist’s choice for clean, clear TV reception where distance is an issue. If you live in the suburbs, you have probably seen gigantic, bent TV antenna masts atop some homes. Don’t let this turn you off antenna TV. Antennas have changed since the 1950s, and you don’t need some huge metal contraption to get great reception. The HDB4X Xtreme Series HD antenna delivers amazing reception in a compact style! Free TV is still an option for just about anyone who wants it. It’s great to stop paying the cable companies and get free local TV channels instead. Nine of the top 10 network shows are still found on TV, and it’s all absolutely free! Isn’t it time to get the free TV you deserve? The HDB4X from Xtreme Signal is the best choice because it combines the power of those older antennas with a modern design. Choose the HDB4X to pull in the most UHF channels in stunning high definition reception. 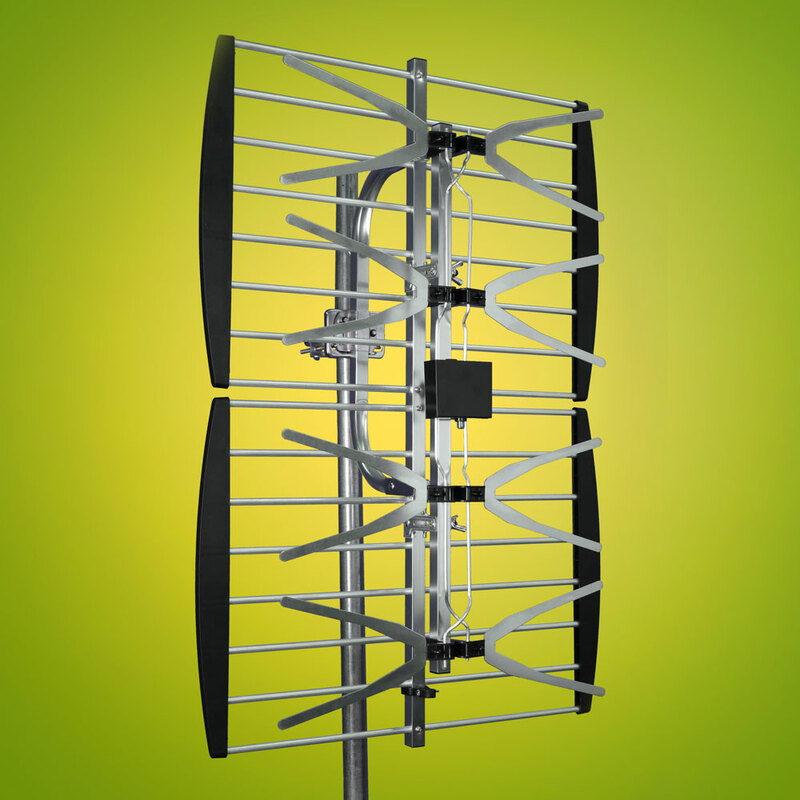 Choosing an outdoor TV antenna like the HDB4X lets you permanently mount and aim it for the best reception. Its sturdy yet lightweight construction offers different mounting options. For example, you could strap it to your chimney, or install a mast to hold the antenna. Installation is easy, and the Xtreme Signal team will answer your questions along the way!